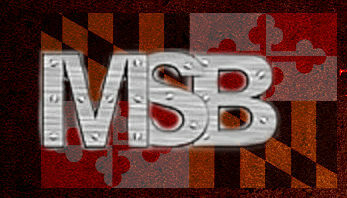 MSB has had a lot of writers over the past eight years. Many had to move on for professional and or personal reasons. Here is the list of some of our hall of fame writers that we will always remember and never forget. Note some of these writers are still current writers. Sam Smith: Sam was Brian’s right hand man for many years covering a slew of sports. Smith focused on making MSB a national brand. One of Smith’s specialities was college football. Matt Bachota: Brian’s current right hand man. Bachota is the podcasting guru and one of the best live tweeters. Bachota is a hockey expert covering the Capitals and Hershey Bears. When Brian got busy Bachota stepped in and live tweets Ravens as well. Erick Seltzer: A college sports guru Seltzer was a work horse and brought college sports coverage to another level. Seltzer is an all time good dude that bleeds orange and black. Bethany Redman: A long time writer who wrote the first the two language articles in MSB history. Redman covered Bayhawks, Orioles, Redskins, and Navy. Chloe Stowe: The current Navy sports writer never misses a preview, live tweet or recap. Stowe is the best of the best when it comes to writing a loyalty. Alex Benda: Benda was a work force live tweeting the Capitals and writing Ravens and Capitals articles. Benda was Brian’s left hand man when ever something needed to get done. Benda contributed 172 articles and live tweeted countless games. Evan Johnson: Johnson broadcast for Bowie state and covered Bowie state. Johnson was a jack of all trades live tweeting Caps, Wizards, Nationals, and whatever else needed to be done. Jeremy Train: The Terps specialist, Train live tweeted Terps football and basketball. Train helped out in other areas as well. Jon Parr: The first writer ever brought on. Parr covered the Orioles in the baby years of MSB. Joe Papparotto: A college friend of Brian who helped Brian in the baby years. Brian credits Papparotto with being the “co-founder”. Andy Hefty: A very knowledgeable baseball writer and one of the all time great writers of msb. Hefty is a big time Orioles fan and wrote multi-part series on the Orioles. Hefty is a former marine who is a published author. Ansh Suchdeve: Ansh came to MSB to write about Navy. Suchdeve is the youngest ever member of MSB. Suchdeve has been a jack-of-all-trades for MSB writing about nearly everything. Suchdeve is also Bachota’s right hand man on NFL articles.